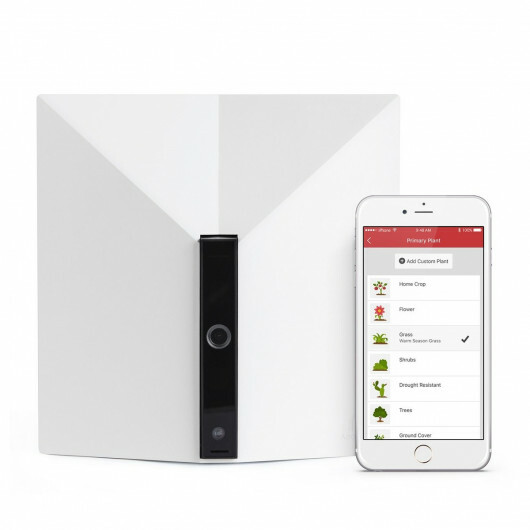 Yardian is the world’s first multi-functional smart device capable of both smart irrigation and surveillance. 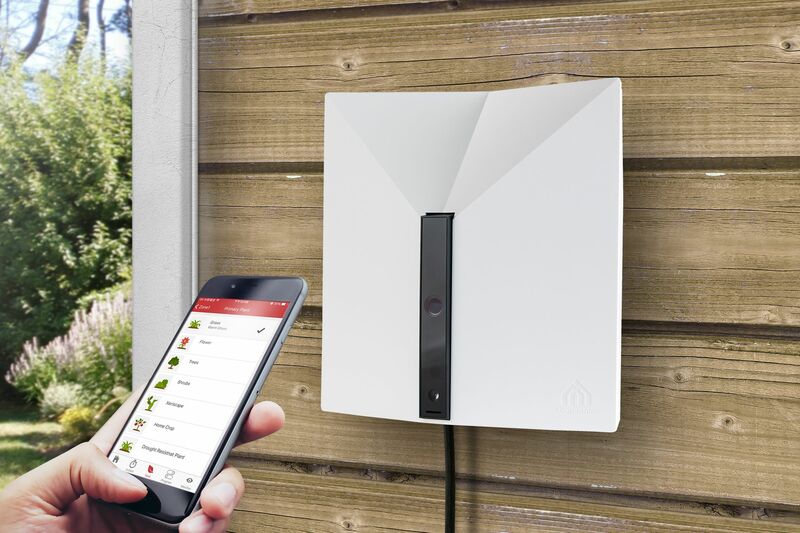 Enjoy the freedom to remotely control your sprinkler system while monitoring your yard, garden, and/or garage. FIND OUT ABOUT... YARDIAN ! The Yardian comes in both 12-zone and 8-zone models, and the master valve can be assigned from any spare zones using the Yardian app . The Yardian is designed for both indoor and outdoor installation, and its exterior is built with UV-stabilized, non-chlorinated, non-brominated, flame-retardant material (UL rated f1/V-0/5VA) to withstand the variability of every season. 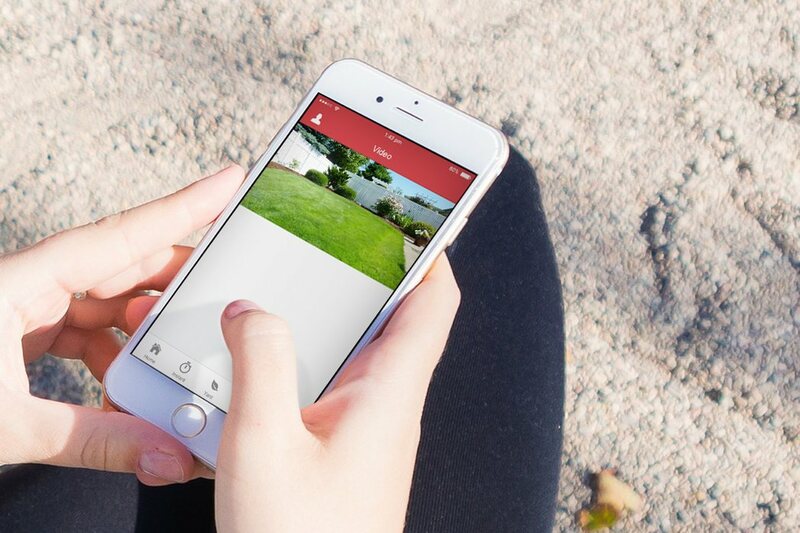 A Profile is created to represent the yard or garden of your property on the Yardian app. Up to 12 zones can be enabled according to your current irrigation zoning. You can set up plant, sprinkler head, soil, etc. for each zone. Each zone can be assigned to either a Smart Program or a Manual Program for water schedules. The control access of your “Profile” can be easily shared to your family members or contractor. Multiple “Profiles” can be created and managed under one user account. You can choose to skip watering schedules created by your Smart Program and/or Manual Program. There are 4 skip rules that you can use based on Chance of Rain, Rain Sensor Skip, Manual Skip, and Freeze Prevention. The Yardian may be activated by using Alexa. Specific voice commands provide customized control of your lawn's watering requirements, such as watering your property based on specific zones. 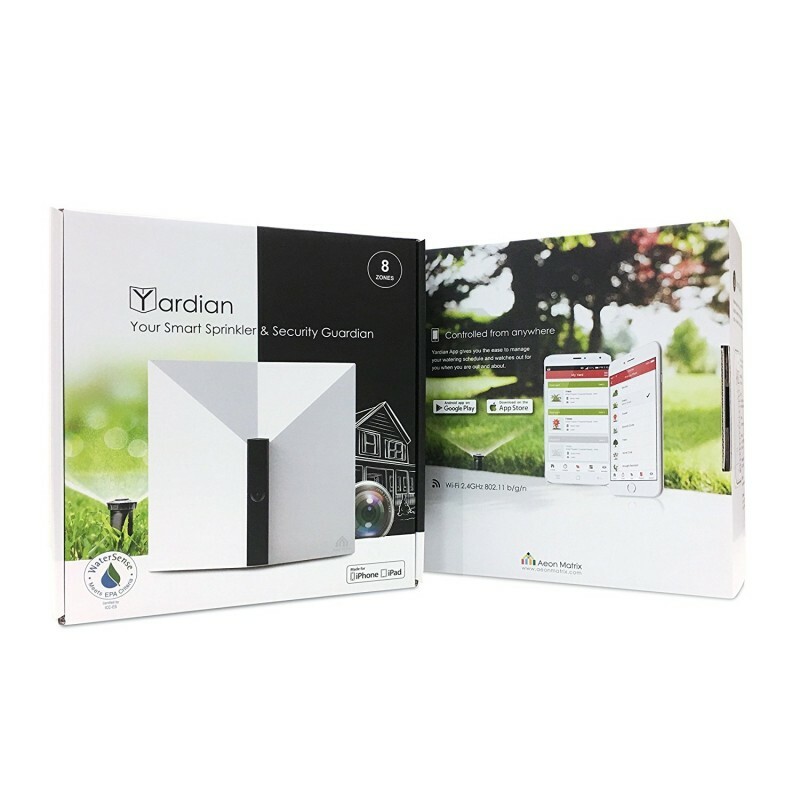 The Yardian is more than just a smart sprinkler controller, it also features a unique, built-in security system. 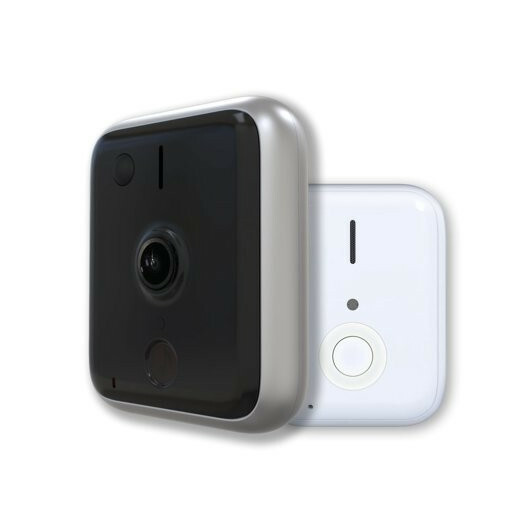 The Yardian leverages its prime location to transmit real-time video of your garage or yard. 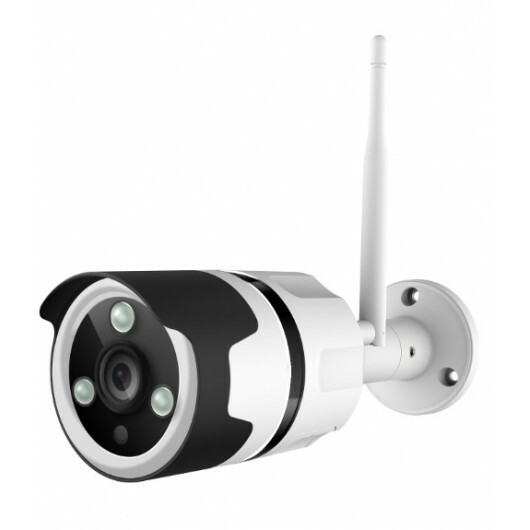 This “always-on” Internet connection allows security video streaming 24/7 to your smartphone. 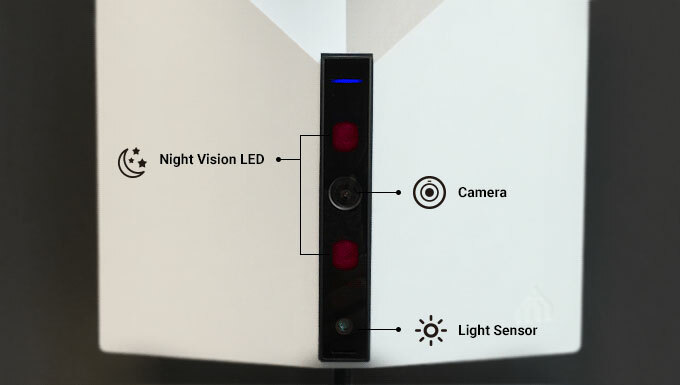 The Yardian features motion detection. You can set up instant notification on your smartphone when someone or something approaches your door. Input: 100 ~ 240 VAC, 50Hz/60Hz, 6 ft power cord. Can I install Yardian myself or do I need a landscape/irrigation professional? 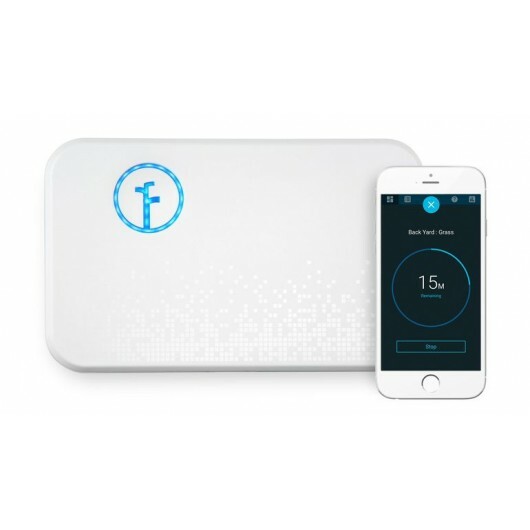 Smart sprinkler controllers vary in their complexity. Installation requires some basic electrical knowledge and can be accomplished by most do-it-yourself homeowners in approximately 30 minutes to an hour. The Yardian was made for the Do-It-Yourselfer in mind. With only 3 simple steps, you may install the Yardian in less than 30 minutes. If you choose to hire someone to install the controller, please check to make sure they are licensed and insured. When you see your Yardian app showing "Offline", please check if your Internet connection is working normally first. If your Internet connection is down, try power-cycling your modem and router, or contact your Internet provider for assistance. Very easy to setup. The design looks cool. I can use the camera to check the backyard which is an additional feature that others do not have. Great controller especially that the total cost was rebate from the state/City. I have learned about Yardian from my friend. Installation was very straight forward and took about 15 min to replace my old unit. After unit installation, I painlessly setup the app.